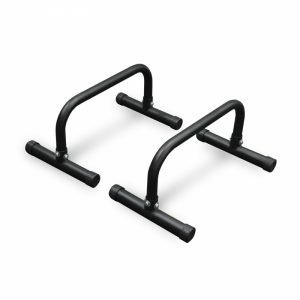 Using Push up Bars when doing Push ups helps by elevating your hand placement, allowing you to lower your body even closer to the ground. 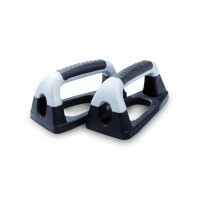 Giving you a more challenging push-up range of movement that will help develop your working muscles even more. The use of Push up Bars also help those with wrist pain so they can perform Push ups pain-free. The Fitness Shop have a large variety of Fitness Equipment and Accessories to help fit the individual’s needs and goals.